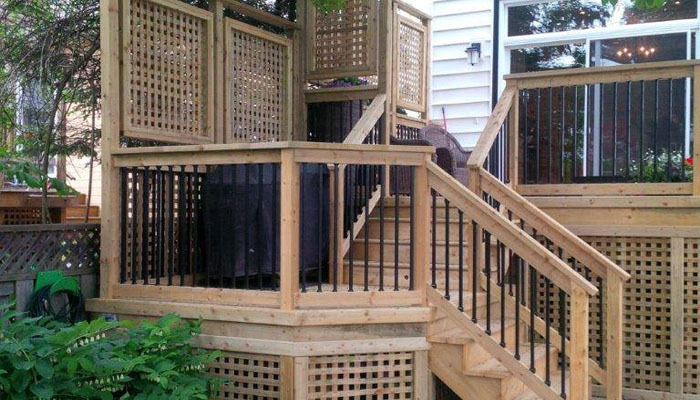 A deck can be closed off to create a relaxing private ambiance or feature more open space for entertaining guests. 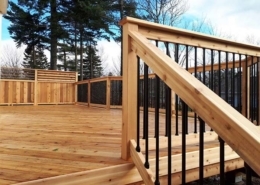 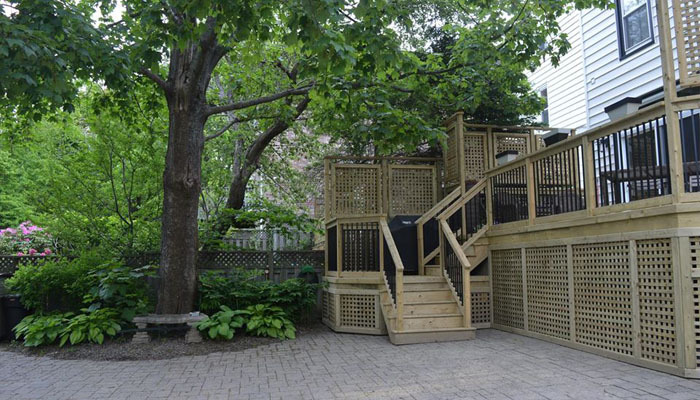 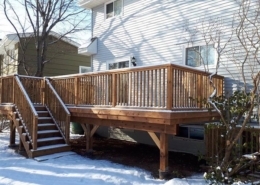 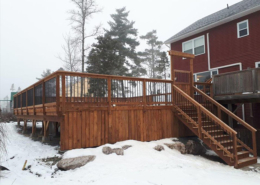 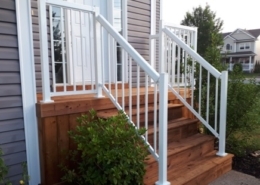 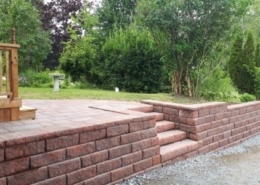 This beautiful deck design utilizes both styles to create an outdoor living space that is inviting, yet private. 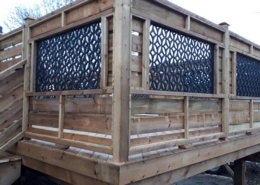 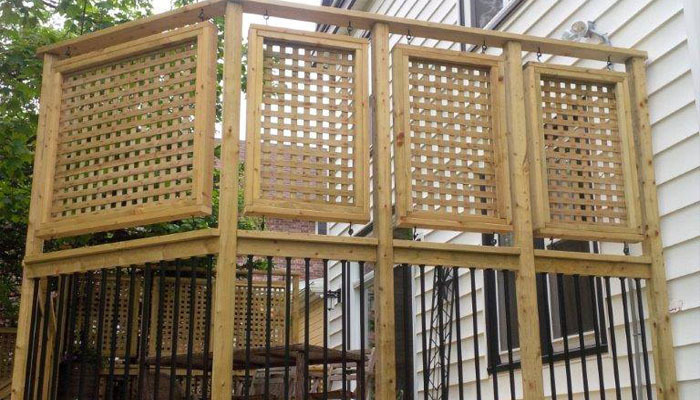 Lattice panels give the homeowner privacy, without compromising on style or natural light. 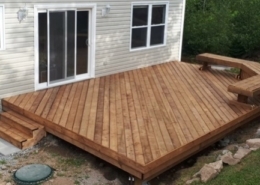 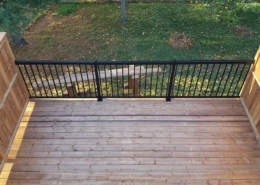 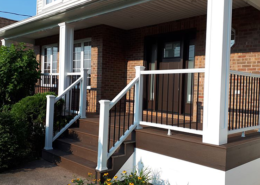 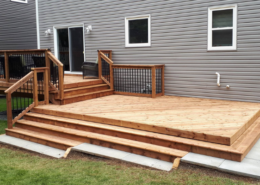 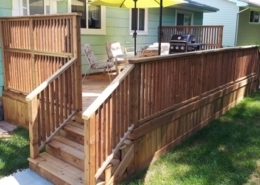 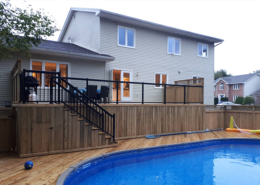 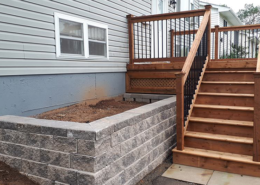 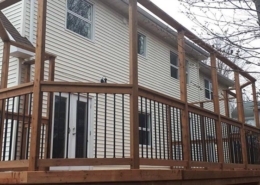 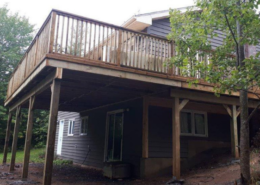 The front of the deck is left uncovered to make the deck feel more open, and to keep a clear view of what’s outside from the inside of the home.